Uber is doing quite well. In fact, it is one of the most successful business out there but looks like there’s danger looming up there. Believe it or not, many experts are of the idea that blockchain could put businesses like Uber at risk. Imagine a world where passengers could get in touch with drivers directly with the help of an extensive blockchain network. While we’re far from such happenings, there’s potential. Let’s get to know more about how blockchain could be the death of Uber. Uber currently uses a centralized system to link drivers and passengers. However, it appears quite like a decentralized system due to how it’s presented. It gives users the feel of directly getting in touch with the provider, whereas you’re actually using a server and Uber controls the entire system. When you open the app to find a ride, you basically request Uber to find you a service provider. The system scans available options and links you to a suitable provider. Moreover, the system also takes care of the payments. You pay Uber, and then it pays the driver after charging the required fee. This gives Uber great power to dictate and decide. Hence, not many users are happy with the system, primarily due to its vulnerability. In addition, the prices are subject to high volatility, which is entirely controlled by the server. Let’s talk about the capabilities of blockchain. It offers a decentralized and secure ledger of chained records thanks to high-level encryption. The technology can also provide both the parties with the option to exchange money without having to worry about any other party having control. How Is This a Bad News For Uber? It may not necessarily happen, but there’s a possibility of blockchain giving competition to Uber and other similar platforms. The peer-to-peer network can make the process easy as there will be no other party handling any of the tasks and everything will be done on the blockchain. Moreover, it can also provide riders with details about a driver including reviews. If this happens, the user may prefer to quit Uber as they’d not only save on fee but may also feel more secure since there’s little to no risk of their personal information reaching unsafe hands. What’s Uber Doing About It? Many experts predict that Uber may have to change how it does business to fight the challenge. In fact, many believe that even Uber may begin to use blockchain in some way. 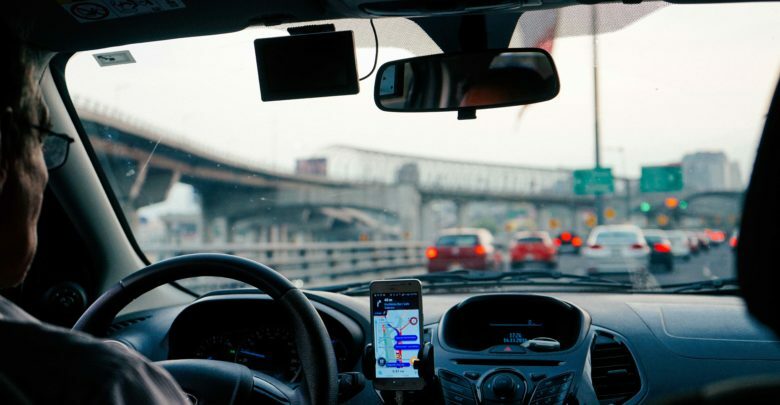 The company faced a considerable challenge when one of its former drivers, Christopher David, got frustrated due to the company’s policies and gave birth to Arcade City, which is essentially Uber on the blockchain network. Arcade City uses Ethereum and appears to be quite a success, but it’s not yet big enough to pose any significant threat to Uber. However, Uber may soon see some major challenges as blockchain grows even more. Next PostHow Will Blockchain Impact Digital Marketing?